Buttock enhancement is a process by which the surgeon enhances the shape of the buttocks. While fat grafting or buttock implants are often used to increase volume, it is important for your surgeon to evaluate the buttocks in relation to the surrounding body areas. Dr. Williams gleans upon his many years of experience to evaluate and recommend the exact procedure that is right for your particular body shape. For example, many patients have the combination of excess fat of the ‘love handles’ (flanks) and a flattened appearance of the buttocks. When evaluated as part of the overall body contour, liposuction may be recommended of one area such as the flanks and the resulting harvested fat may in turn be used to add volume to another area such as the buttocks using fat grafting technique. What is Involved in Fat Transfer to the Buttocks? Fat Transfer (fat grafting or autofat grafting) to the the buttocks is a process by which the surgeon harvests fat from one part of the body (i.e. abdomen, flanks, thigs, hips) by a method such as liposuction. After harvesting the donor fat, the fat is washed, filtered, and then transferred to the desired location(s). This technique may be used for women and men to enhance the volume of the buttocks and correct small to medium asymmetries. Obviously, the patient would also need to have extra fat in other parts of the body to serve as donor fat. Are There Other Types of Buttock Enhancement? Yes. Examples of other types of buttock enhancement include, but are not limited to, filler injections (ex. Sculptra®) and buttock implants such as silicone. 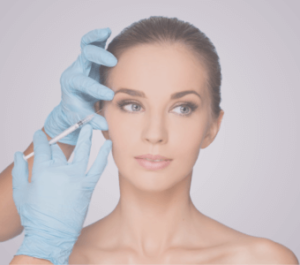 Because this procedure involves liposuction, many patients desire greater reduction in the donor site to achieve an aesthetic contour of that site. As such, the procedure time depends on the amount of liposuction performed. The process of simply harvesting fat and transferring it to another part of the body, without extra liposuction, generally takes from 1 to 3 hours. Postoperatively, patients will need to wear compression garments which are designed to help the skin and soft tissue reshape into its desired shape. It is also recommended that the patient sleep on their stomach and avoid sitting on hard surfaces for a duration of time which is typically 2 to 6 weeks. 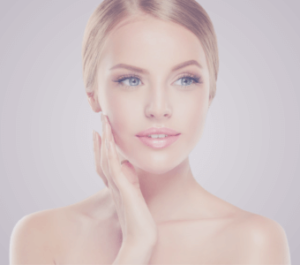 As with all contouring procedures, risks include, but are not limited to, contour irregularities and asymmetry. For more information on Buttock Enhancement, or to schedule a consultation, call Peak Rejuvenation at (970) 259-5990 or Request a Consultation.